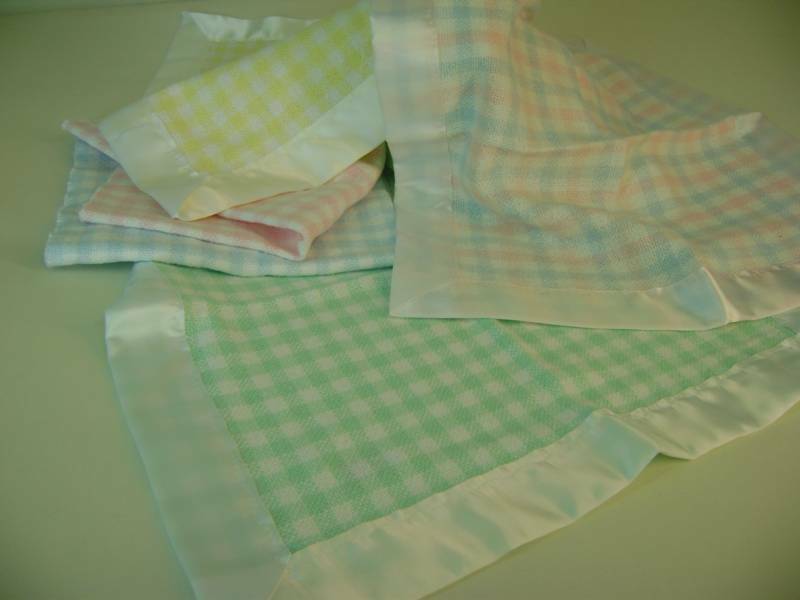 ESPECIAL PRICE FOR WHOLESALE ORDERS AND DISCOUNTS FOR BIG ORDERS PLEASE CONTACT COMPANY DIRECT. threeweaverswalcot@yahoo.com -FAX#765 523 2437 PHONE#765 426 0687 PAY SECURE WITH PAYPAL- NO ACCOUNT NEEDED, HAND WOVEN IN CLARKS HILL INDIANA- USA - PERSONALIZATION AVAILABLE. THREE WEAVERS, CHURCHILL WEAVERS, WALCOT WEAVERS AND OLD AVINGTON WEAVERS. FREE GROUND SHIPPING IN ALL ORDERS MADE IN THIS WEB SITE. 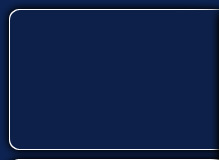 PLEASE ALLOW 5 TO 7 DAYS FOR SHIPPING,THANK YOU. 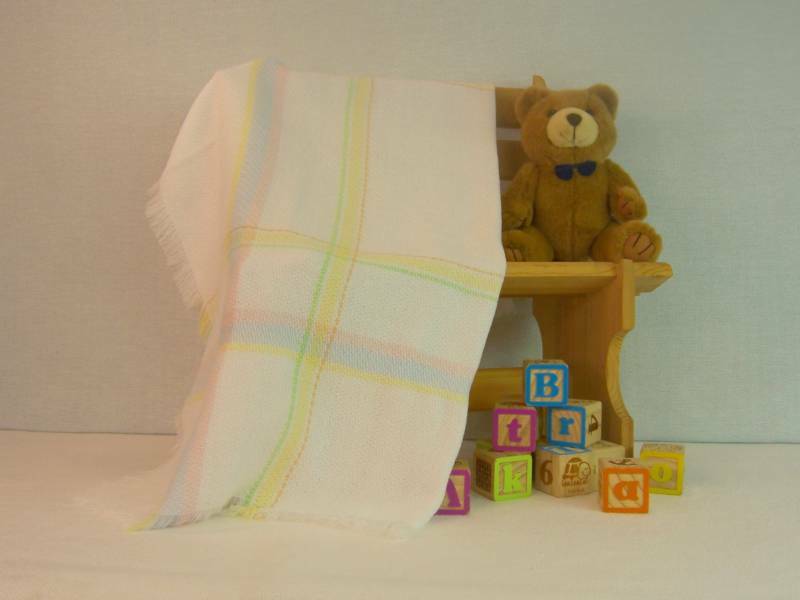 CHURCHILL WEAVERS HAND WOVEN BASKET WEAVE ACRYLIC BABY BLANKET 36X36 WITH A 1"FRINGE IN ALL SIDES 100%ACRYLIC WITH A FLORAL EMBLEM IN ONE CORNER. 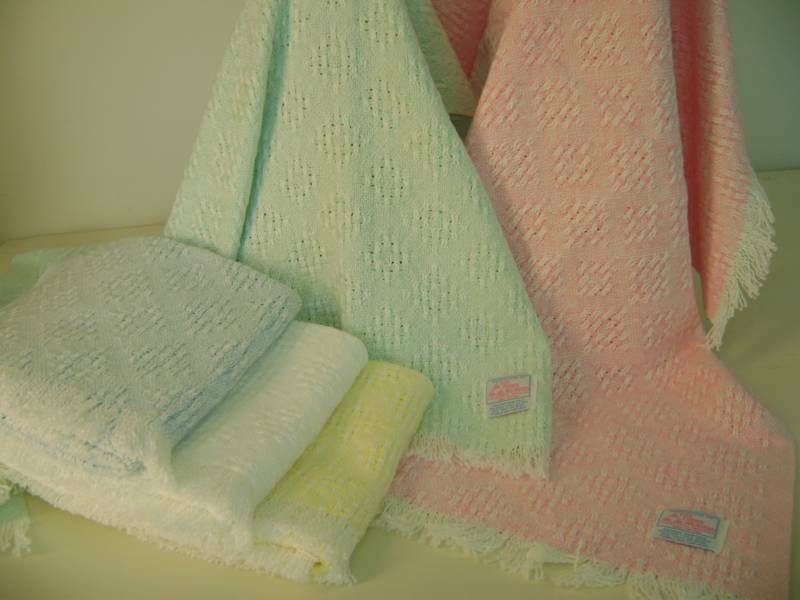 CHURCHILL WEAVERS,HAND WOVEN 100% COTTON BABY BLANKET WITH A DIAMOND PATTERN, 36X36 WITH A 1"FRINGE IN ALL SIDES. *Embroidery available for this blanket. 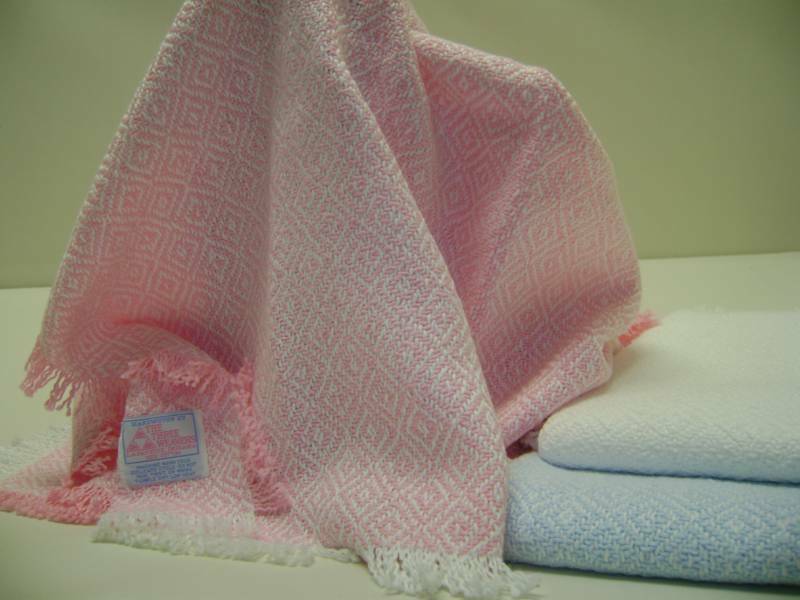 CHURCHILL WEAVERS 100% COTTON BABY BLANKET,36X38 WITH A 1 1/2"FRINGE IN TWO SIDES WITH A LARGE DIAMOND PATTERN. 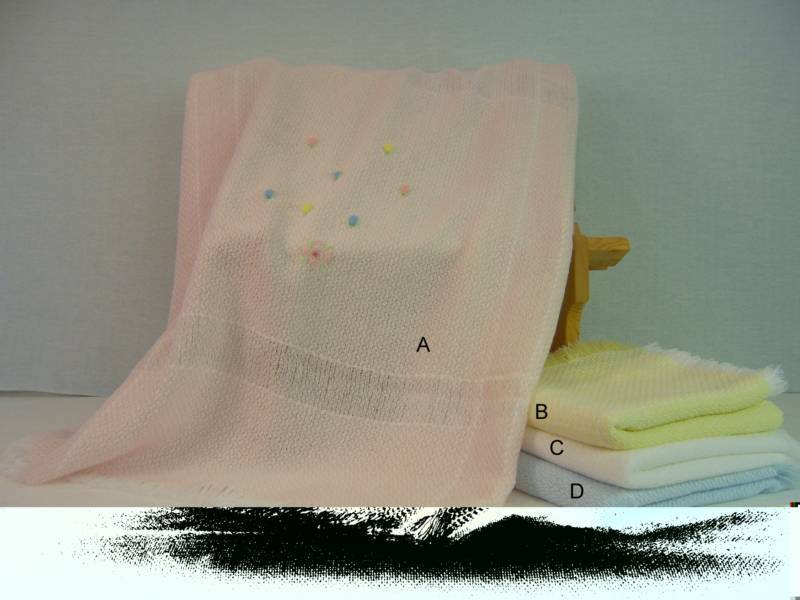 THREEWEAVERS HAND WOVEN CRIB BABY BLANKET COTTON,DIAMONT PATTERN,HEMSTITCHED ACROSS TOP. *embroidery available for this blanket. 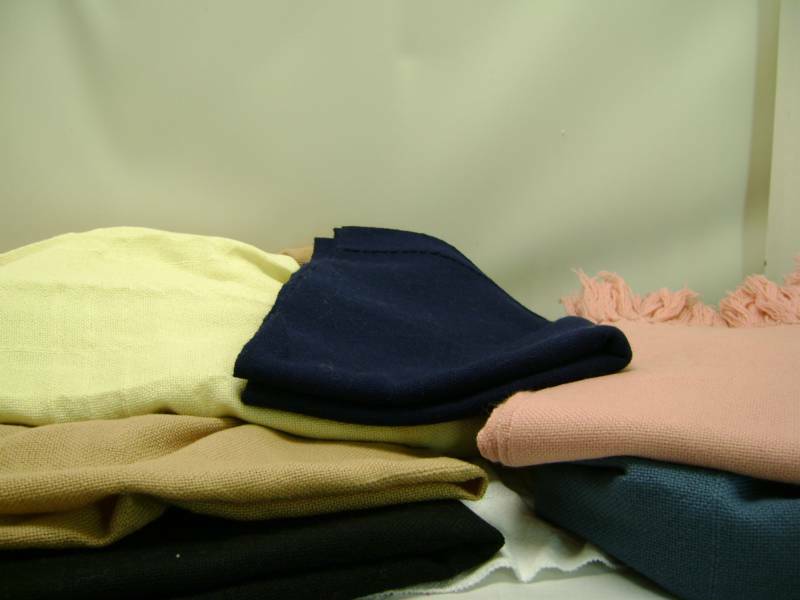 CHURCHILL WEAVERS HAND WOVEN ACRYLIC THROWS WITH A TWILL PATTERN 56X70 WITH A 5"FRINGE IN EACH SIDE. 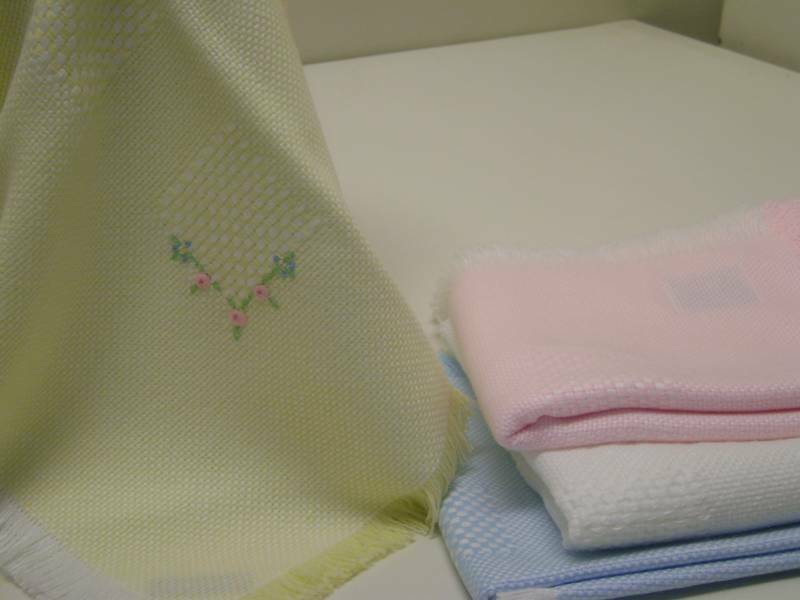 *Embroidery available for this blankets. 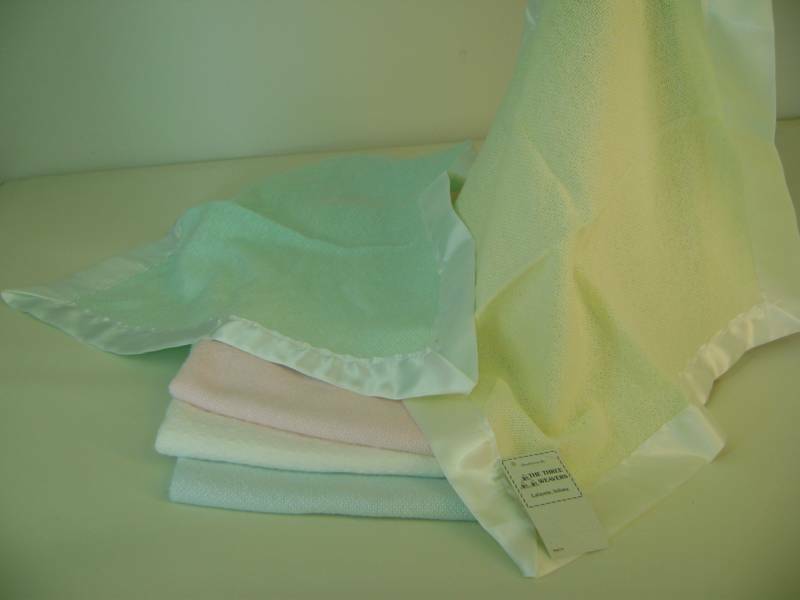 THREE WEAVERS HAND WOVEN ACRYLIC BABY BLANKET,36X36 WITH 1"FRINGE ALL SIDES WHITE WITH COLOR CORDS. *Embroidery available for this blankets. 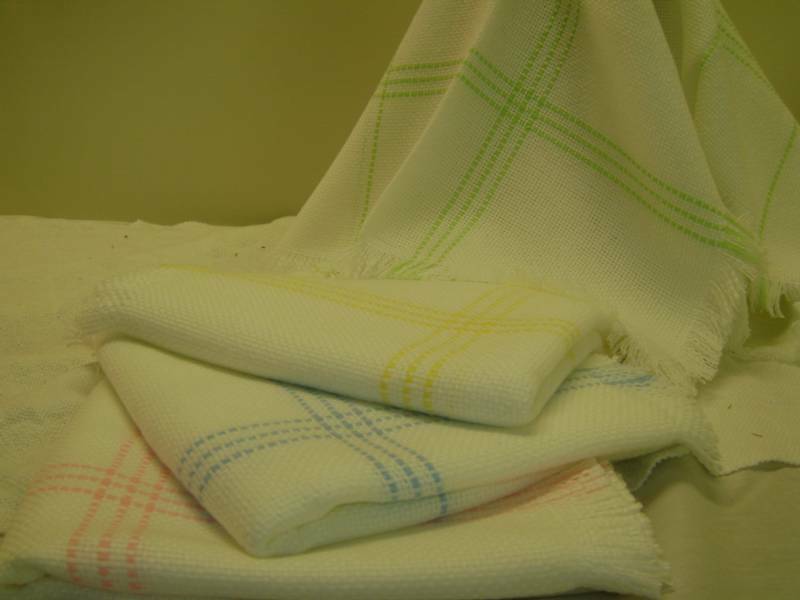 WALCOT WEAVERS HAND WOVEN COTTON BABY BLANKET, SMALL CHECK PATTERN. *free embroidery available for this blanket. 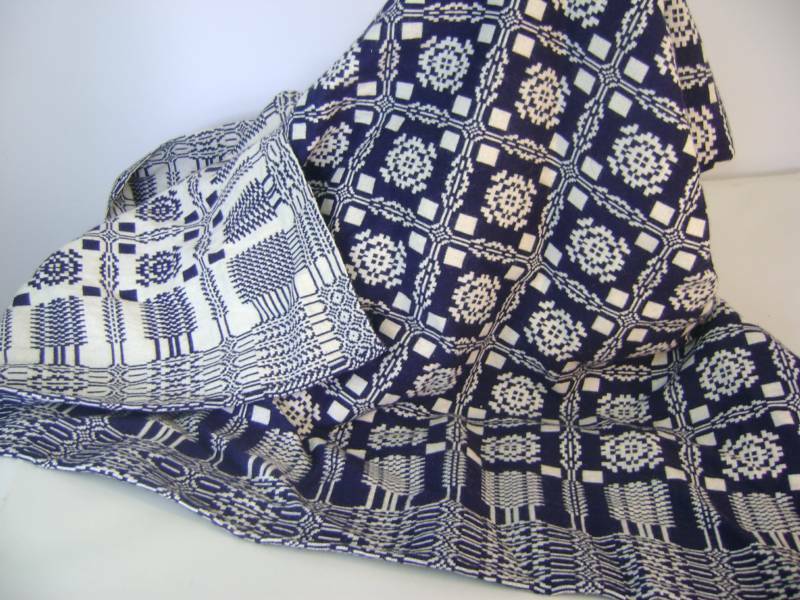 WALCOT WEAVERS HAND WOVEN 100%COTTON, SECURITY BLANKIE, 18X20 WITH A SATIN TRIM. *embroidery available for this blanket. 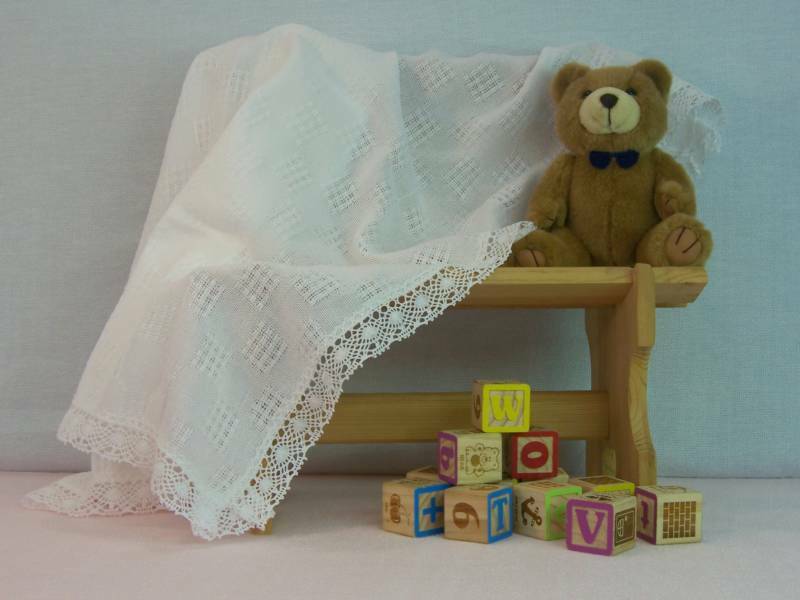 WALCOT WEAVERS HAND WOVEN 100% COTTON SECURITY BABY BLANKIE, 18X20 WITH A SATIN TRIM. 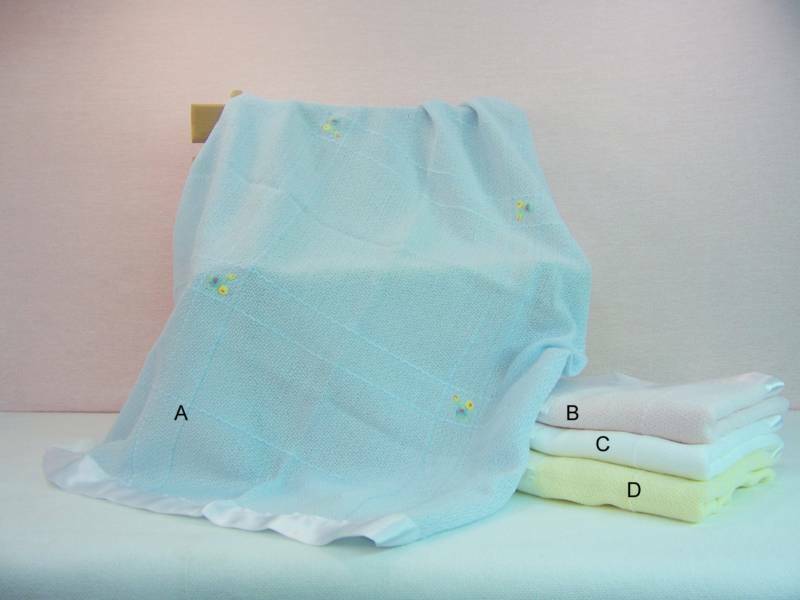 THREEWEAVERS HAND WOVEN COTTON BABY BLANKET,DIAMONT PATTERN,HEMSTITCHED IN ALL SIDES. *embroidery available for this blanket. 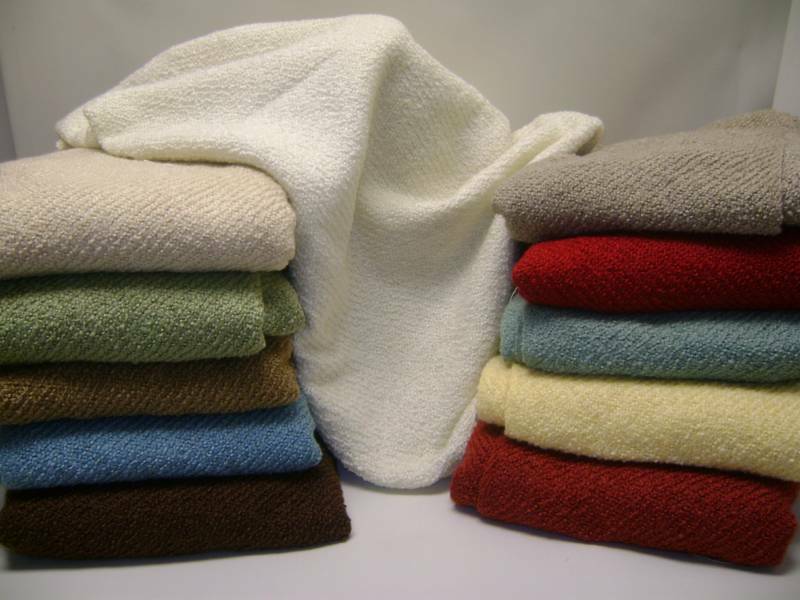 THREE WEAVERS/OLD ABINGTON WEAVERS COLONIAL LOVERS KNOT BED BLANKET,50%COTTON,50%WOOL,SOFT,WARM AND DURABLE. EMBROIDERY AVAILABLE! PLEASE CALL FOR DETAILS.